Walnut — Summer break is over and students will soon be getting into the rhythm and routine of the new school year. Teachers and staff members on 15 campuses welcomed nearly 14,400 students in the Walnut Valley Unified School District on Monday morning. By 7:30 a.m., Vejar Elementary Principal Whitney Prenger was out front offering high fives and hugs as families began arriving. The energetic school leader also brought something special to kick off the new school year – a bubble-blowing machine. The children toting new backpacks and lunchboxes were happily surprised as they walked through the stream of iridescent soap bubbles at the front gate. “I wanted the children to have a memory from their first day at Vejar that would last a lifetime!” Prenger said. During the opening lesson, transitional kindergarten teacher Irene Carter admitted to her new young charges that she was a little nervous. “And I don’t like leaving Phillip,” she shared. Next, the clever educator encouraged the youngsters to raise their arms like a sliding snake if they were a little scared or nervous too. Several little arms cautiously went up in the air. Then she invited the children to raise their arms like a wiggly worm if they were exited to begin school. And finally, she asked the kids to wave their hands to signal they were happy. All of the hands eagerly shot up in the air! “Monday went well, Tuesday was OK, and Wednesday was super with barely any tears!” Carter happily reported later in the week. Over 45 new educators were hired for the new school year, including Chaparral Middle School 7th grade math teacher Macy McGuire. “I’m excited to meet the kids and get the ball rolling!” she said. “I already have my first month planned out – every homework assignment and every activity,” McGuire added. Over the summer, the Board of Trustees appointed new principals Jennifer Alcazar at Castle Rock Elementary and Sandra Lee at Westhoff Elementary. “I am thrilled to have served in Walnut Valley as a teacher, administrator, and parent,” Alcazar said. “It is truly an honor to be given the opportunity to return to Castle Rock where my children experienced so much love and growth!” said Alcazar. “We are so excited to welcome our students back to their second home,” said Lee, a District newcomer who brings over a dozen years of educational experience to her new post. “It’s going to be a fun school year filled with amazing memories!” she added. Westhoff Elementary kindergarten teacher Roxanne Dennen is beginning her 25th year in Walnut Valley. After a morning snack and water break on August 13, students took their places on magic carpet squares to join their teacher in the classic “The Wheels on the Bus” song. “My 25th first day of school was as exciting as my very first day,” Dennen said. 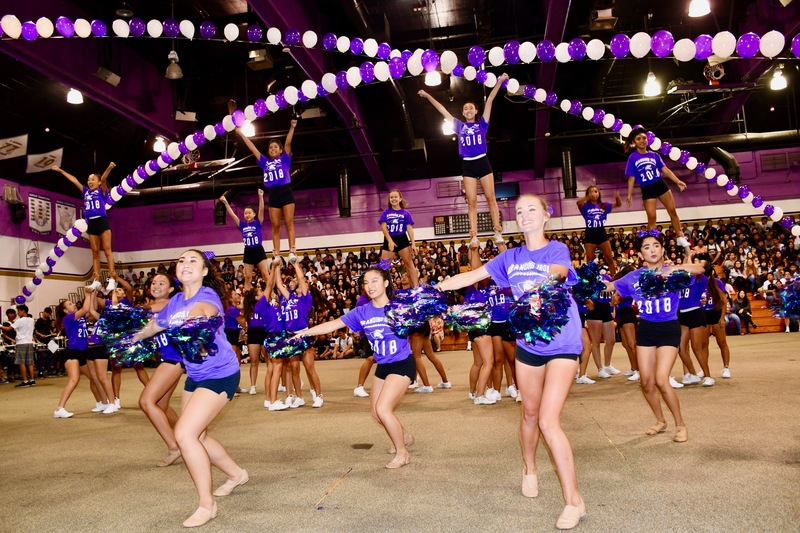 Over 2,700 Diamond Bar High students gathered in the gymnasium during two opening-day assemblies featuring pep and band performances. Principal Reuben Jones encouraged the teens to set goals for themselves this school year. “We want everyone to achieve, create opportunities for learning, and respect yourselves and each other,” he said. Walnut High Principal Brandon Dade visited every classroom to welcome the Mustang-powered teachers and staff members. “I’m going to do this every week throughout the year!” he said. At Suzanne Middle School, students dashed to classes during passing periods with schedules in hand. “I’ve been all over the school this morning!” said 6th grader Melody Yu. “I’m excited to see my friends and meet my teachers,” shared Chloe Siu. Suzanne Language Arts teacher Alice Chen utilized Google Classroom to connect with students a week before school began. She was able to post a welcome message along with course information for her 120 students. When Chen saw that some students responded with personal messages, she was absolutely thrilled. “Digital tools gave me the ability to get to know my students before I met them face-to-face,” the tech-savvy educator said. Language Arts teacher Lauri Ujita begins each year with three simple rules she asks her 6th grade students to live by: Work Hard. Stay Humble. Be Kind. “These are the rules I try to live by too!” she shared. Fifth-grade students in Kari Penzes’ class at Westhoff Elementary were eager to log onto new laptop computers on Tuesday. “These one-to-one Chromebooks benefit students by providing immediate access to the most current technology and keeping pace with the 21st century world,” the teaching team commented. The children were lined up outside Janine De Vera’s 4th grade class before the first bell rang at Vejar Elementary. “The beginning of the year is such an exciting time – everyone gets a fresh start!” De Vera shared after greeting each youngster..
“I’m looking forward to California day, track, and recess!” beamed nine-year-old Taryn Schilz. “I’m excited to go to class and see the panda decorations,” added classmate Eleanor Reyes after peeking through the window. Quail Summit elementary learning specialist Leann Legind used social media to communicate with educator friends the night before school began. “Tomorrow get ready to change the world – one sweet student at a time!” she offered.